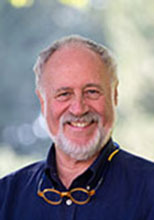 Budd Hall is a Professor Emeritus with the School of Public Administration and Co-Chair of the UNESCO Chair in Community Based Research and Social Responsibility in Higher Education. The UNESCO Chair is a joint partnership between the University of Victoria and the Society for Participatory Research in Asia (PRIA) located in New Delhi, India. The objective of the UNESCO Chair is to build research capacity in the global South and the excluded North in the field of community based research. It does this through collaboration with many global networks, through advocacy work with governments and funding bodies and through training. The Training arm of the UNESCO Chair is the K4C training consortium which consists of an on-line component, a two week face to face residency and field work. Mentors are nominated by K4C hubs. The hubs themselves are training partnerships between universities and civil society partners. Once the mentors are trained, they in turn train a younger generation of CBR practitioners. In this video, Dr. Hall discusses his three main areas of research related to methods of community-based research, social movements and community/university research partnerships.